From war memorials to military sculptures, some monuments are in many ways the most captivating structures mankind creates. Perhaps they catch our attention because they symbolize our most violent moments or the extremes of victory and defeat that transcend everyday reality. Some of these structures commemorate turning points in history, wins and losses that changed the courses of countries or even entire continents. Others are simply awesome architectural designs worthy of appreciation in their own right. From around the world, here are twelve of the most memorable, unique and extraordinary war monuments and memorials in military history. The Motherland Calls was the tallest building in the world when it was constructed, measuring 279 feet from the plinth to the tip of the sword. 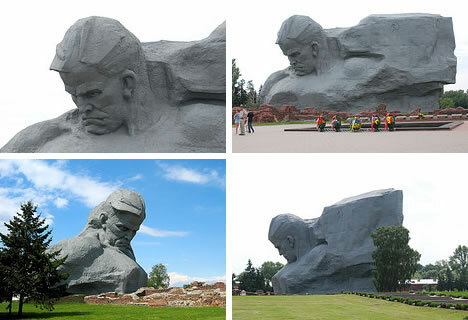 The monument commemorates the Battle of Stalingrad and was built by Yevgeny Vuchetich in Volgograd, Russia in 1967. 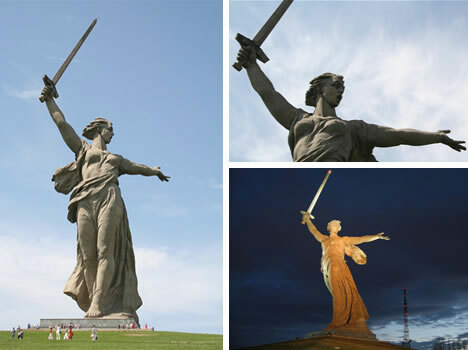 The figure, which is 170 feet tall, is Valentina Izotova, a native of the city, who posed for Mother Motherland. The result is both impressive and imposing. El Alamein is a city west of Alexandria and north of Cairo that played a major role during World War II including the November 1942 battle when Montgomery’s forces routed Rommel’s Afrika Korps and Winston Churchill said of this, “This is not the end, nor is it even the beginning of the end, but it is, perhaps, the end of the beginning.” Shown above is the war monument that the Italian state built on a hill 5 miles west of the city to commemorate the thousands of Italian soldiers that died in Africa during WWII. 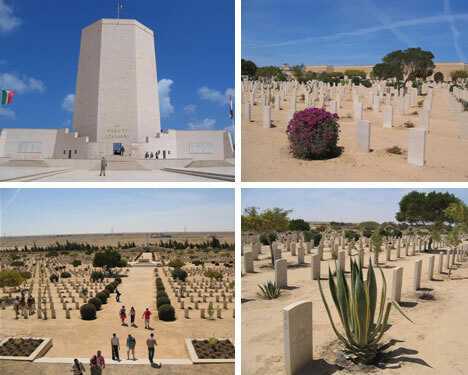 There is also a German Military Cemetery situated on the Tel el-Eisa hill and a Commonwealth War Cemetery with graves of soldiers from various countries that fought from the side of Britain. The Korean War Veterans Memorial was built in 1986 in Washington D.C. to honor members of the U.S. armed forces who served in the Korean War and viewed from the above it looks like a circle intersected by a triangle. 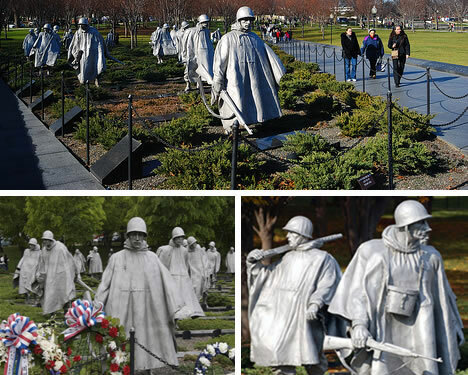 The Field of Service (the triangle) is where visitors approach the monument for the first time and see the 19 stainless-steel statues representing ground troops on patrol. There is also a granite curb on the north side with the 22 countries of the United Nations that helped in South Korea, while on the south side there is a black granite polished wall. 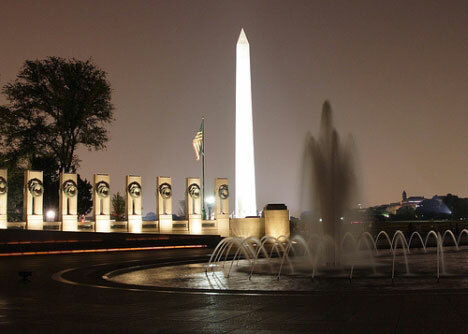 The World War II Memorial is a national memorial to all Americans that fought the World War II and is located in Washington D.C. on the former site of Rainbow Pool between the Washington Monument and the Lincoln Memorial. It all started in 1987 with a proposal to build a WWII memorial that took about seven years to receive federal approval for construction. Out of more than 600 design submissions, a proposal by Friedrich St. Florian in 1997 and work on the monument began. The structure consists of 56 pillars (each one is 17 feet tall) and two arches, the “Atlantic” and the “Pacific”. Each of the 56 pillars is inscribed with one of the 48 US states from 1945 and the District of Columbia, the Alaska Territory and Territory of Hawaii, the Commonwealth of the Philippines, Puerto Rico, Guam, American Samoa, and the U.S. Virgin Islands. It opened to the public on April 29, 2004. The USS Arizona Memorial recalls the Japanese imperial forces attack on Pearl Harbor on December 7, 1941, which became the starting point of the United States’ involvement in World War II. It was the worst naval disaster in American History, no less than 1,177 sailors died on the USS Arizona during the attack. The remains of the sunken battleship were turned into a memorial which is now the final resting place for 1,102 of the crewmen. 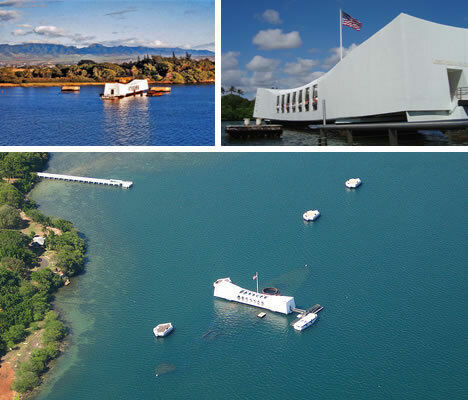 There is an approximately 75-minute tour that includes a 23-minutes film on the history of Pearl Harbor and then a trip on the Memorial. 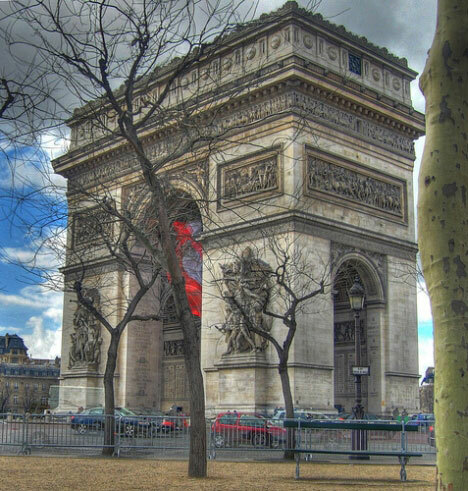 The Arc de Triomphe is a quintessential symbol of Paris that lies at the western end of the Champs Elysees in the center of the Place Charles de Gaulle also known as the Place de l`Etoile. It has been designed by Jean Chalgrin in 1806 and was dedicated to all those that fought in the name of France, especially in the Napolenian Wars. On the underside of the arc are the names of the Generals and the wars they fought in, while beneath lies the Tomb of the Unknown Soldier. Charles Godfroy flew a biplane through the Arc de Triomphe after the Victory Parade of 1919 that celebrated the end of World War I.
Tugu Negara is Malaysia’s National Monument (that’s what Tugu Negara stands for) and was built in Kuala Lumpur just near the House of the Parliament. The monument is dedicated to the heroic fighters who died for the country’s peace and freedom, against the Japanese occupation during the World War II and after. 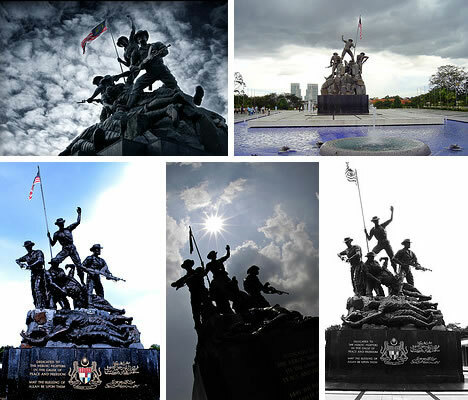 There are seven bronze figures that symbolize leadership, suffering, unity, vigilance, strength, courage and sacrifice. The “Tugu Negara” also symbolizes that it will preserve traditions (the left side) and will build the future (the right side). The Women of World War II is an unusual monument in one critical regard. Most people think of war as a male-dominated phenomenon but there are some monuments that are dedicated to the role of women in wartime. The sculpture by John W Mills is located in Whitehall London to the north of Cenotaph and consists of 17 different clothes and uniforms that women during World War II had to wear at their jobs. The Merchant Seafarers War Memorial is a sculpture by Brian Fell from 1996 dedicated to the Merchant Seamen of Cardiff Bay and Butetown. This work includes both a beached hull of a ship and a timeless face, along with an interpretative mosaic with inscriptions and portraits of local wartime seafarers by Louise Shenstone and Adrian Butler. The Fortress of Brest is the second largest war monument in the former Soviet Union. 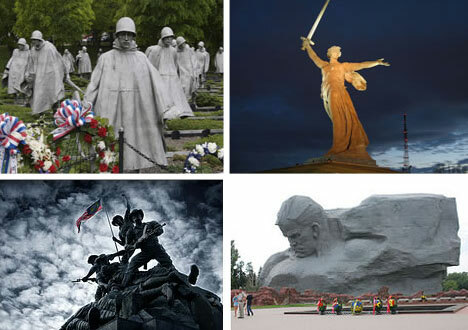 Located in the city of Brest in Belarus the sculpture is a tribute to the famous “courage” defense against Germany that attacked the Soviet Union during the first days of World War II. Its size is impressive and the figure display a palpable toughness. The Sydney War Memorial is located in the southern extremity of Hyde Park. Also known as the ANZAC War Memorial, this complex was designed by Bruce Dellit and Rayner Hoff to commemorate the Australian Imperial Force that fought during World War I. It was completed in 1934 and is supposed to be Australia’s finest Art Deco structure. You may want to visit it at night because the colors and the reflection in the nearby lake makes it even more beautiful in the evening. On the exterior the building has a cladding of pink granite and consists of a massed square superstructure punctuated on each side by a large arched window of yellow stainless glass. 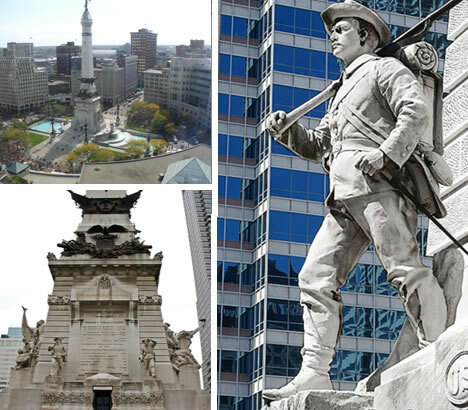 The Soldiers’ and Sailors’ Monument lies in the center of Indianapolis, Indiana, lies a 284-feet tall monument built from gray limestone and bronze in a neoclassical style. The structure commemorates Hoosiers who were veterans of the Indiana war (1776 to 1865). The Colonel Eli Lilly Civil War Museum is located in the monument’s lower level while a 30-foot statue of “Victory” tops the obelisk. The view of the surrounding area from the 250-foot high observation deck is simply spectacular.